PC Logistics operates a dedicated 24/7/365 staffed expedite operation serving the United States and Canada. The division operates primarily Sprinters, cube trucks, and straight trucks with both singles and teams. As well, we work with over 95 top expedite carriers in the United States and Canada that are fully integrated with our computer system to offer you seamless coverage for your critical ground shipments. We are currently seeking: Single Straight Trucks, Team Straight Trucks, Tractors - Truckload, Tractors – Refrigerated, Local, Regional, and OTR. This is your chance to join our winning team. 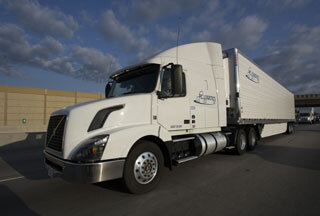 PC Logistics offers a great combination of pay, benefits, and a strong commitment to safety. We are the last logo you will ever need! PC Logistics operates a dedicated 24/7/365 staffed truckload operation consisting local, regional, and long haul. The regional truckload group primarily serves a 350 mile radius from Milwaukee, Wisconsin including complete Indiana coverage. We offer next day service from anywhere in Indiana. The local group operates primarily in the Milwaukee and Chicago markets. 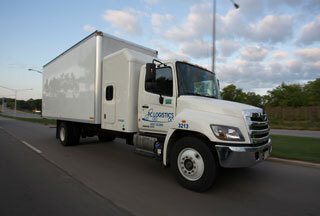 With in all divisions we operate both 53ft dry van and refrigerated air ride trailers. Each of our power units feature satellite tracking. PC dedicated services are designed to provide an alternative option to the employed driver in a company vehicle. Whether you are considering an alternative to employing a driver or simply expanding your delivery services, you will want to take a good look at our dedicated driver system. The Logistics division provides PC Logistics the ability to never say no to our customers. Over the years this staff has developed strong relationships with carriers throughout the US and Canada to enable PC Logistics to meet our customer’s needs. We are staffed 24/7 and have the ability to manage and track your freight at all times. If you need a Tractor, Flatbed, Reefer or any specialized piece of equipment this division is your answer. With the backing of the PC Logistics asset based divisions we have the customer covered. PC Logistics offers customer specific warehouse solutions. With intelligent warehousing solutions we are able to lower your freight storage costs. . You can see all locations on location page. Don't know what means of transportation would be right for you, or you need someone for full supply chain management? Please contact us. Our team of professionals will be happy to help. We cover different industry sectors, from food and beverage, retail, consumer packaged goods, and more. Check the full list. 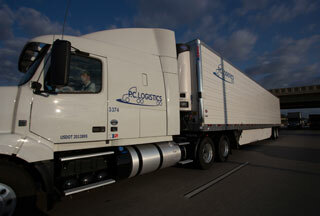 PC Logistics is Currently Looking for a Regional Driver.